Diamond Details: 2 Fancy cut white diamonds and round white diamonds, of I color, VS1 clarity, weighing 4.31 carats total. 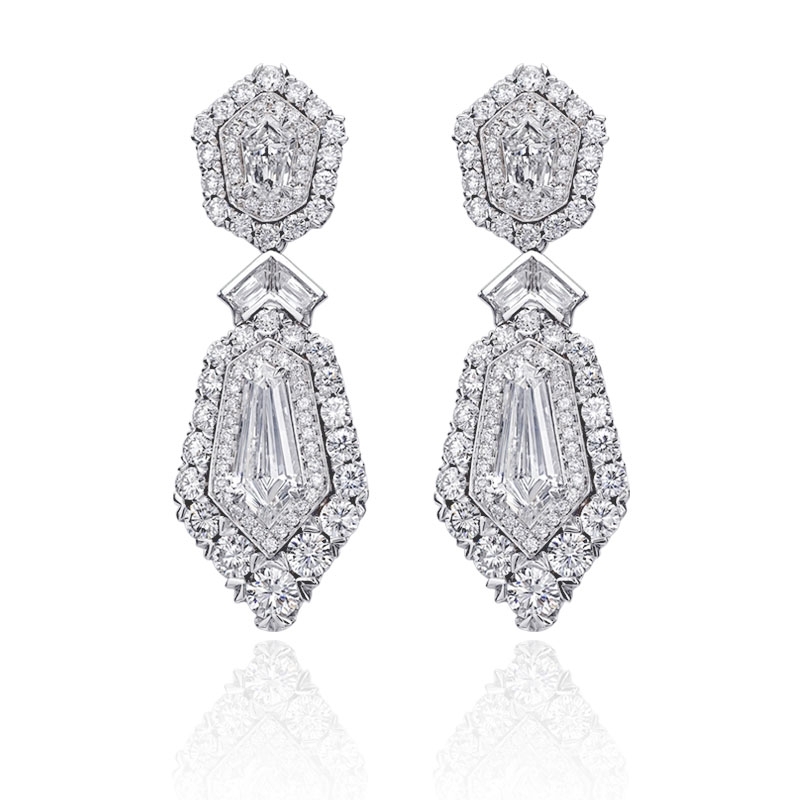 Earring Design: Christopher Designs 18k white gold design. 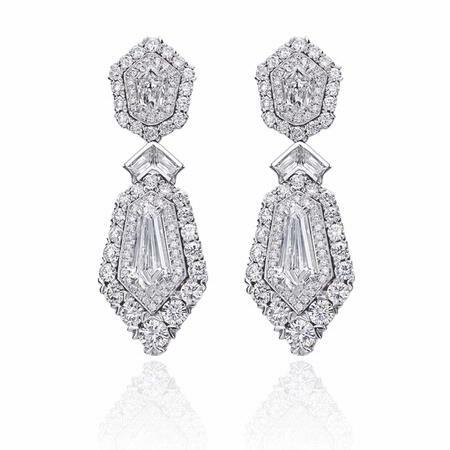 These stunning Christopher Designs 18k white gold dangle earrings, feature 2 fancy cut white diamonds and round white diamonds, of I color, VS1 clarity, weighing 4.31 carats total.